Hormel Foods announced the winners of the company’s annual Holiday Card Contest for dependent children of active team members. The grand-prize winner of the contest is Greta Kosel. Greta is a second grader in Austin, Minnesota, and is the daughter of Wendy Kosel and Daniel Kosel, chain accounts manager for foodservice at the Corporate Office. 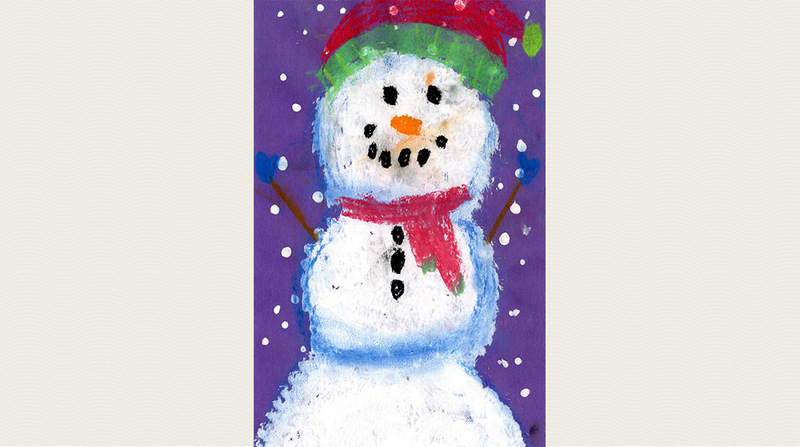 Greta’s artwork, titled “Snowman at Night,” was designed using paint, oil, pastels and paper. In her free time, Greta enjoys craft projects, gymnastics and dance. The runners-up are Anne Moellers and Caitlin Drees.